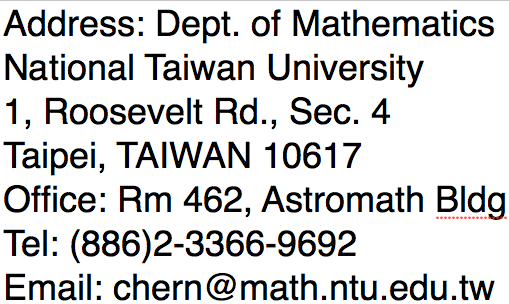 I am a professor of the Institute of Applied Mathematical Sciences and the Department of Mathematics at National Taiwan University. My research interests include partial differential equations, scientific computing and image sciences. I have taught many different subjects of analysis and applied mathematics including advanced calculus, applied analysis, ordinary differential equations, partial differential equations, numerical analysis, numerical linear algebra, numerical partial differential equations, scientific computing, wavelets, fast algorithms, computational and applied mathematics, financial mathematics, compressive sensing, medical imaging, image processing, etc. In addition, I am also involved in high school mathematics education. I have chaired the committee of 2010 High School Mathematics Standard (99高中數學課綱). I am also engaged in the development of applied mathematics in Taiwan. Currently, I am the President of the Taiwan Society for Industrial and Applied Mathematics (TWSIAM). Ph.D., Mathematics, New York University, 1983. M.S., Mathematics, National Taiwan University, 1978. B.S., Mathematics, National Taiwan University, 1975. Associate Research Fellow, Inst. of Math., Academia Sinica (1983-1989). Society Award, The Mathematical Society of the Republic of China, 2018. Chair Professor, National Central Univ. 2014-2015. Distinguished Professor, National Chiao Tung University, 2013-2014. Distinguished Professor, National Taiwan University, 2008-2011. 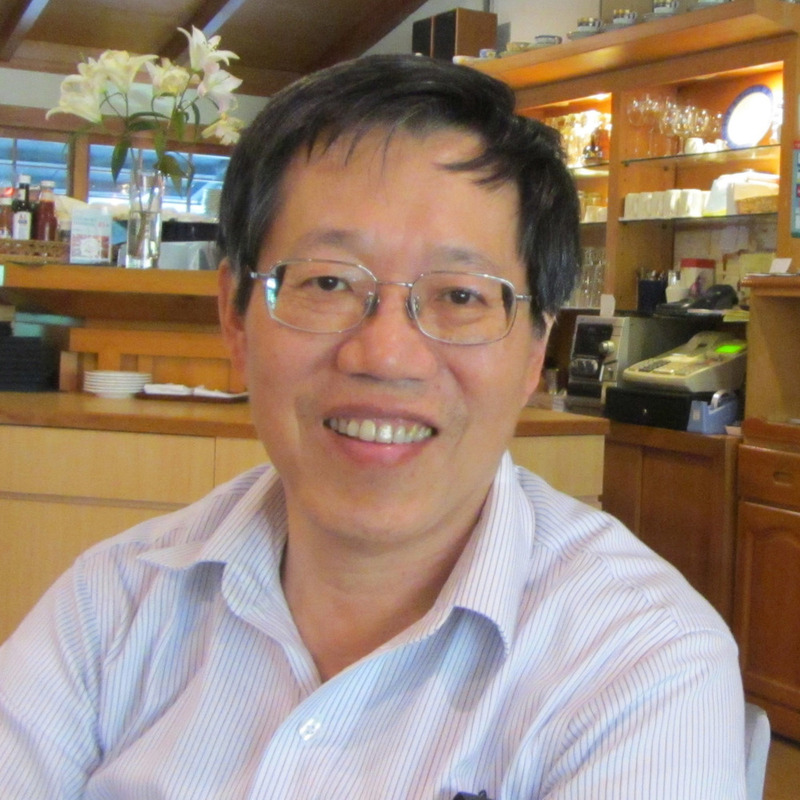 President of the Taiwan Society for Industrial and Applied Mathematics, 2012-2015. Vice President of the Chinese Mathematical Society, 2002-2004. Executive committee member, Scienti c committee member, Asia section, Society of Industrial and Applied Mathematics, 2005-now. I started my research on hyperbolic conservation laws in 1980s. Then I moved to computational fluid dynamics on front tracking method, shock and vortex dynamics. In the 90s, I was interested in wavelets and image processing. In 2000s, I worked on interface problems. In the past few years, I have been working on Bose-Einstein condensates. A list of my publications can be found in google scholar, ORCid. I have been engaged in designing the 2000 high school mathematics standard (99高中數學課綱). Below are some documents.